Our hands-on tests of 14 different swaddlers, and focus groups with experienced moms, revealed several primary brands who make recommended swaddlers, and these include: Halo, Nuroo, Miracle Blanket, Kyte Baby, Ziggy Baby, ERGO Baby, and Summer Infant. Critical features included easy to use fasteners, soft and flexible fabric, high quality stitching, no uncomfortable rubbing points (like under the chin), breathable fabric, durability and a strong hold even for wiggly babies. Below are the top 5 swaddling blankets we found, followed by our in-depth reviews of several models. While this is a review of the best swaddlers and sleep sacks of 2019, be sure to check out our reviews of swaddling and receiving blankets, and our reviews of baby wraps and slings. Here are the Best Swaddlers of 2019! 1. Halo SleepSack Baby Swaddle Blanket. The Halo swaddlers use the velco-style wrap design (like the SwaddleMe), and this is not to be confused with the regular Halo SleepSack, which does not swaddle. Most moms reported using a micro-fleece 100% polyester version of the Sleepsack Swaddle, and others using a 100% cotton version. In both cases, they liked its zipper and velcro design. 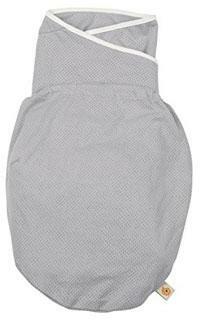 They also liked how it could be used as a basic sleep sack (arms out) or a swaddler (arms in). This is helpful as the baby grows, as most babies after 3-4 months will figure out ways to wiggle their arms out of a swaddle anyway, and Halo recommends ceasing swaddling between 4-6 months. 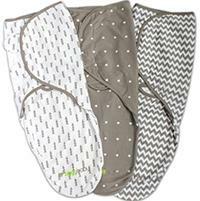 The Halo SleepSack Swaddle comes in 3 sizes: Premie, Newborn, and Small. They also come in multiple colors, with both classic gender-specific and relatively neutral hues. The micro-fleece version is heavier weight than most other swaddlers, so are reportedly great for the colder months. The 100% cotton versions are much thinner and more breathable, so they are better for the warmer months. Are you not comfortable doing the old fashioned swaddle wrap, or just want to save some time? Moms report this Halo SleepSacks is a big time saver. Once your baby seems strong and nimble enough to break out of the swaddle, stop using it - otherwise there appears to be some risk of them pushing the velcro "wings" right up over the face. Note that buckling into car seats with this type of swaddler (or even just a sleep sack) can be difficult at times, particularly for the buckle between the legs. 2. Summer Infant SwaddleMe Baby Swaddler. 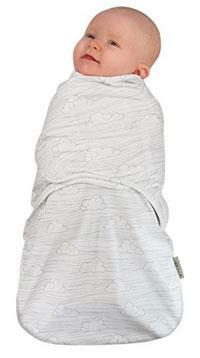 Just like the Halo, the Summer SwaddleMe uses the velco-style wrap design. Summer makes their swaddlers in some really cute designs, and several moms mentioned the cute monkey and other animal designs. 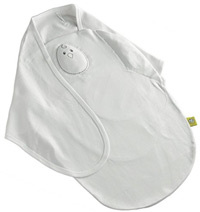 These swaddlers use a two-tab velcro flap system (the Halo uses one large velcro pad), and some suggest that this design gives a more customized fit. Unlike the Halo, this particular swaddler does not have arm holes to allow arm-out usage. This swaddler comes in 2 sizes: Small/Medium and Large. However, many have complained that the sizing isn't always correct, and might vary by the fabric type and even within a single package; so be sure to try out the size before ripping off the tags and washing them! They also come in multiple designs for both boys and girls, with several cute patterns to choose from, and several different cloth types (cotton or microfleece). The micro-fleece version is heavier weight than the cotton swaddler, just like with the Halo. It has a very convenient loop on the back to help you secure it into a baby bouncer or swing. Note that, also like the Halo, buckling into car seats with this type of swaddler (or even just a sleepsack) can be difficult at times, particularly for the buckle between the legs. 3. Nuroo Baby Swaddler Blanket. Nuroo is a relative new-comer to the baby carrier and swaddler market, and they are making quite a splash! With high quality fabrics, adorable colors and patterns, and an awesome design, the Nuroo Swaddler is a fantastic addition to our baby swaddler list! At a basic level, the Nuroo functions quite a bit like our #1 Halo Sleepsack, using leg pockets and wings that tighten around the arms and attach using Velcro, and allowing your baby's arms to be either in or out depending on their sleep patterns. But the Nuroo goes beyond just a basic swaddler, incorporating a unique three-in-one design that adjusts to suit your growing baby. Its secret is in the three leg pocket sizes: use the Size 1 pocket from birth to 18" height, then the Size 2 pocket from 18-24" height, and then the Size 3 pocket from 24-28" height. It uses removable grow seams that take about 5 minutes to remove and extend to the next length. 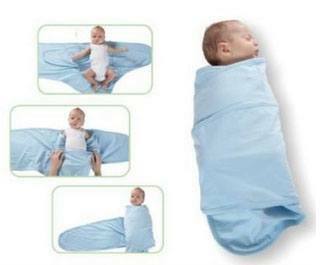 We all loved this feature, and thought it was an awesome way to get around having to buy a new swaddler size every few months. There's some extra pocket change we could all use! We also thought the Nuroo was the most flexible fabric on our list, making it both soft and ultra flexible for an easy and comfortable wrapping routine. It's also one of the more resistant to the baby Houdini routine, preventing most babies from wiggling their arms up and out. Cons? Well, early versions of this wrap received some complaints for the Velcro quality, though the one we tested worked quite well. Be sure that when you machine wash it, you close the Velcro fully before throwing it in the wash! Also, though it is great to have so much flexibility in the fabric, some parents might find it a bit too flexible for those super wiggly escape-artist babies. Overall, we think this is an excellent addition to our swaddler list and highly recommend it! We found it for about $25 online. (FTC Disclosure). 4. Nested Bean Zen Swaddle. This is another newcomer to the best swaddler list, and we only recently got our hands on a few to test. The Zen Swaddle is a novel concept for a swaddler, as it includes a lightly weighted chest area to mimic a parent's hand resting on the baby. This mimics mom's gentle touch and is intended to give babies a bit more comfort, helping them fall asleep easier and stay asleep for longer. Outside of that functionality, this is a great swaddler, with some nice features. The cotton fabric is soft and stretchy, and the entire thing is free of BPAs and phthalates. Inside the swaddler are leg pouches, one for little babies and one for bigger babies, so it adjusts nicely to a growing baby's length. The upper flaps work in a similar way to most swaddlers, you swing the left flap over your baby, and then the right flap swings over the other way and secures with velcro. In our testing, we found this swaddler to be comfortable, adjustable, and flexible. The innovative lightly-weighted chest is a great concept, and it might work to calm some babies. In our case, it didn't seem to make much of a difference, but we realize that all babies are different. The swaddler is made for babies from 0-6 months of age, and has a 0.5 TOG rating. That means it's great for warmer weather, having higher breathability and less bulk. They also make a Premier Zen Swaddle with a 1.0 TOG rating, which means it will work well for the spring and fall months, but might not be warm enough for winter. So there are a lot of great things going for this swaddler, and it can be had for about $33, which is pricier than most other options on this list. Another drawback is that it's great for babies about 3-6 months of age, but smaller than that and we had some difficulty getting the velcro flaps to attach tightly enough to avoid ninja-arms escaping during the night. Overall, this is a great swaddler and we are happy to showcase it as a top swaddler on the market! (FTC Disclosure). 5. 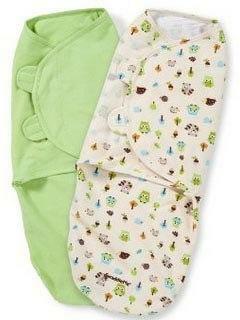 Kyte Baby Bamboo Baby Sleepsack. Words can't even describe how SOFT these bamboo sacks are! They are so comfortable and soft, it convinced two of our reviewers to find some pairs of bamboo pajamas for themselves! When we took these out of the package we thought they were too good to be true, so we put them through the wash and dry cycle to see how they would hold up. An hour and a half later, they were just as soft and maybe even softer than they were to begin with! That's really impressive, and adds to a growing number of baby products using bamboo, such as swaddling blankets, wash cloths, and sheets. So now that we've gotten past just how soft these sleepsacks are, let's talk about some other features. First, though these 97% bamboo rayon (3% spandex) sacks feel thick and warm, and are thus great for colder months, they are super breathable and our baby never felt like he was overheating in it, and we keep our thermostat around 71-72 degrees. Second, it uses an awesome side zipper that makes getting into and out of the sack very easy, and even diaper changes were a breeze as you could easily scoot it to the side. Third, speaking of the zipper, it was very high quality relative to other baby products, and we appreciated that. It actually is a double zipper, which means it can zip from top down, or from bottom up, which is a nice touch - especially the bottom up feature (for diaper changes!). In our testing, it seemed great for newborn babies (size 0-6 months) or older babies (6-18 months), though we did think that 18 months is a bit of a stretch for most babies to use a sleep sack like this. Though it's not technically a swaddler, it definitely deserves a spot on this list. High quality, highly functional, and so soft and cozy that you'll wonder why all our clothes aren't made of this stuff! A bit expensive, coming in at $40-50 or so, but definitely worth it for a super high quality product. (FTC Disclosure). 6. Ziggy Baby Baby Swaddle Blanket. This is the first year we've included the Ziggy Baby swaddle blanket wraps on our list, and we're glad we finally got our hands on one to test out! It seems like the Velcro swaddler is gaining a lot of popularity. This swaddler fastens just like the Summer Infant swaddler: it has a pouch for the legs and feet, a wing you bring across the body and under the arm, and another wing that you bring across the other way and attach with Velcro. 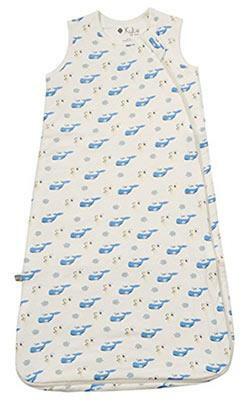 Because the Velcro wing attaches to anywhere across the body, this blanket adjusts automatically as your baby grows. Best for babies from 7-14 pounds (but see below for our feelings about this), this versatile wrap is 100% cotton, that we thought was very high quality, soft, and flexible. While the brown colors might not be a great pick for some, note that there are several color options available through Amazon. Downfalls? Well, they are a bit small overall and our 12 pound test baby was already getting a bit too big for it. We didn't test it out with the 14 pound baby this is advertised to fit, but we highly doubt it would be possible. Also, we found that this shrinks quite a bit in the wash, so be careful to wash on cold wash and either line dry or tumble dry on low heat. Overall, we think this is a great new addition to our swaddler list, and think it might slowly climb up this list in the years to come! We found a 3-pack of these for about $35. 7. Miracle Blanket Baby Swaddler. Unlike the Halo and SwaddleMe, the Miracle Blanket does not use any velcro. Instead, they use a unique (and some say complicated) design that involves a somewhat elaborate wrapping process. The first step is to secure the arms into the blanket using two little flaps, then you wrap a short flap over the arms and tummy, then wrap the big flap around the entire body to secure it all. The moms who use the Miracle Blanket are really positive about their experiences with the blanket, and highly recommend it to friends. Others, however, think that the velcro-style swaddlers are less time consuming and easier to use. 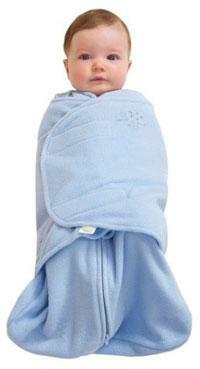 To our knowledge, there is only one size Miracle Blanket, so unlike the SwaddleMe and Halo they are a bit less customizable to your baby's unique growth. The Miracle Blanket tends to be one of the best solutions for parents who have babies that wiggle their arms out of other swaddlers. Compared to some of the other swaddlers, the Miracle Blanket comes in a rather restricted range of colors and patterns, but they likely have a "cute enough" option for most people. Most moms reported using a cotton version, and none mentioned anything about micro-fleece, so it's unclear how many cloth options there are. Given that you wrap this blanket several times around the baby, parents report that it is warm even despite their light-weight fabric. Note that, like the Halo and SwaddleMe, buckling into car seats with this type of swaddler (or even just a sleepsack) can be difficult at times, particularly for the buckle between the legs. 8. ERGOBaby Lightweight Baby Swaddler. This ERGOBaby is probably most similar to the Nuroo in terms of functionality and quality, but without the three-in-one sizing feature. It uses a hip positioner to ensure the proper placement of the swaddler to keep the legs free to move and encourage healthy hip development. Like most of the others, it uses Velcro to securely close. We thought the fabric was nice and soft and showed a good amount of flexibility without being too stretchy. We also liked the simple, contemporary style of it, with soft subtle colors like stone and lilac. Fits babies from 6 to 15 pounds. Cons? Well, many parents think the hip positioner ring is too thick and possibly uncomfortable for their baby. And unlike the SwaddleMe, it doesn't have the loop on the back to help attach to a swing or bouncer. We also thought that overall, the arm wings don't really hold the baby's arms quite as securely as the other swaddlers. Overall, a good swaddler that deserves its spot on our list among the best, but doesn't receive our highest praise. Usually about $25 online.